Behold, the leaning tower of chocolate peanut butter bars! Bow down to its glory, mere mortal! And read on to find out where to get your own. Lindsay, who you may remember from the Atlanta Cupcake Tour was in town visiting us last weekend and we managed to eat and/or drink at 22 different places in 48 hours. Somehow, we’ve lived to tell the tale. I’m here to share some CPB we found along the way! 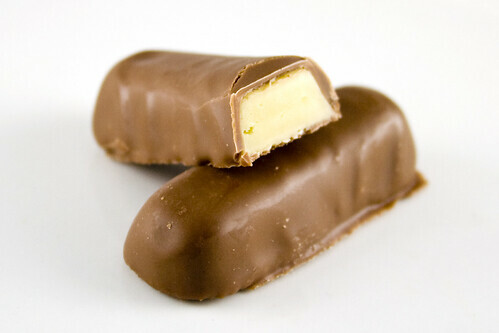 The Banana Bitar was some kind of soft, chewy banana flavored nougat coated in chocolate. Quite tasty! And even though it’s not chocolate & peanut butter, I had to share the awesomely named beer she brought Taste Tester. Too cute! Taste Tester and I had visited The Brooklyn Flea before but not at their Fort Greene location. As we moseyed around, Taste Tester was very happy to discover a stand of Liddabit Sweets. Their collection included a lot of peanut butter bars. Yay for us! There she goes packing up our goods. Faster lady, faster! 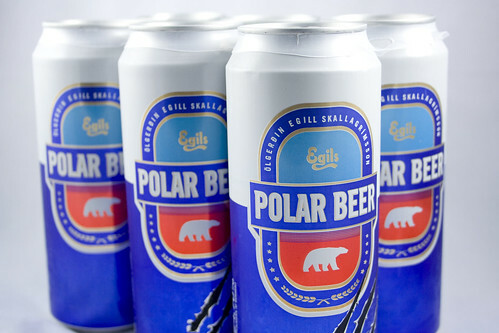 We want to taste the difference! 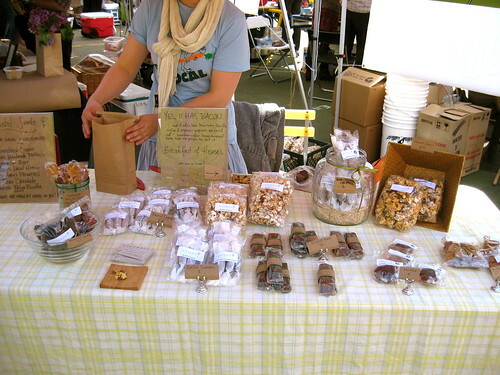 We picked up quite a few goodies among which were 3 different peanut butter bars and a bag of their honeycomb candy. Honeycomb Candy: Local honey flavors a light, crisp and airy confection, bemoaned by many to be hard-to-find in the States. No more! Ours is made in small batches, broken into pieces, and dipped in sweet milk or rich dark chocolate. All of these are stellar. 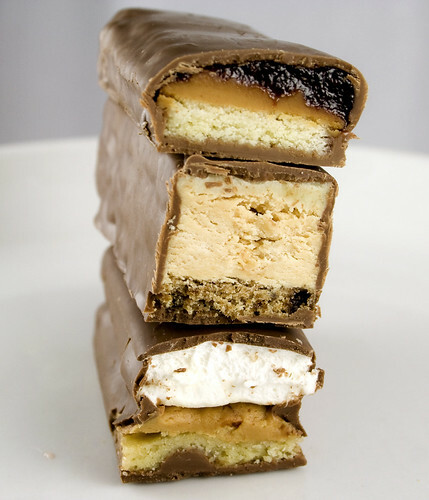 If I could only have one of the bars, I might pick the PB & Mallow. The marshmallow was just soooo fresh and fluffy and all of the elements just fit together really well. The jelly in the PB&J was so perfectly tangy and the peanut butter in all of the bars was so pure. I liked them all and every bar had an interesting consistency. The King was very crumbly and I couldn’t decide if I liked that about it or not, but it’s gone now so I guess I’ll lean more on the “like it” side? It also had a very thin layer of banana lining the top of the bar that had a taste not far off from the Icelandic Banana Bitar Lindsay brought back for us. A wonderful coincidence! I came away from our Liddabits experience fully expecting to prefer the CPB treats over the Honeycomb but that was delicious as well. One of Taste Tester’s favorite nostalgic treats is sponge candy – something that I had never heard of and hadn’t tried before meeting him. 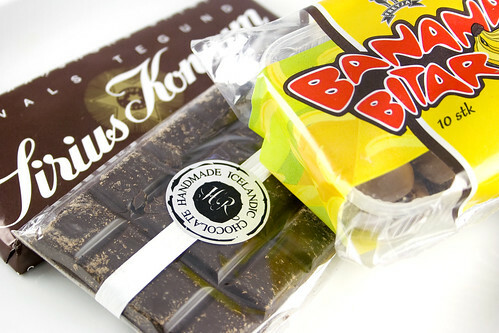 It’s a porous sugary candy that kind of melts in your mouth – oh, and it’s covered in chocolate. Liddabit’s Honeycomb has the same porous crispy texture but with a really strong honey flavor. I am fairly good at controlling myself around sweets even when I love them, but if those are ever in arm’s reach of me, they are guaranteed to be gone fast! It’s dangerous stuff. Wonderfully, deliciously dangerous stuff! 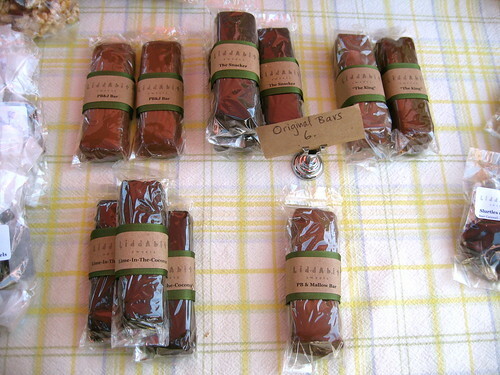 If you aren’t going to be in NYC anytime soon, fear not because Liddabits sells their lovely treats online. Get em here!